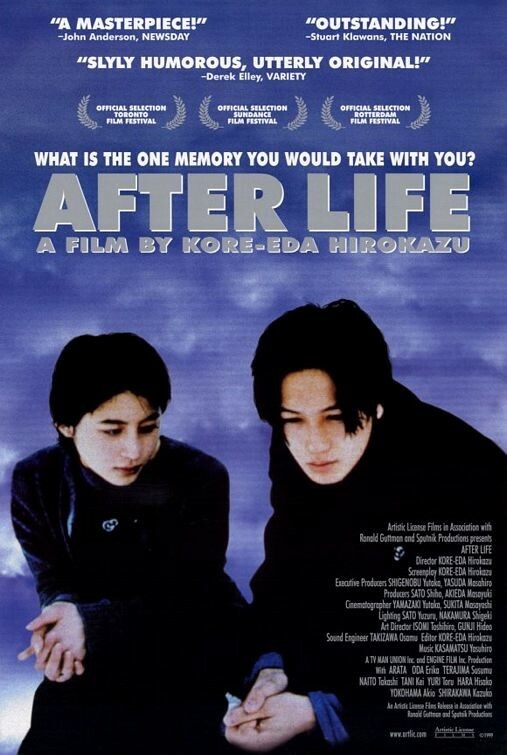 From the director of the Palme d'Or winning Shoplifters Hirokazu Kore-eda, After Life returns to UK cinemas alongside a touring programme of three other titles: Maborosi (1995), Nobody Knows (2004) and Still Walking (2008). If you had to choose the single best memory of your life, what would it be? Kore-eda poses the question in this lyrical yet down-to-earth fantasy set in a posthumous limbo. In just one week, the newly deceased must choose one memory that will constitute their own private heaven. With humour and tenderness, Kore-eda challenges the viewer to reflect on the experiences that most make life worth living.